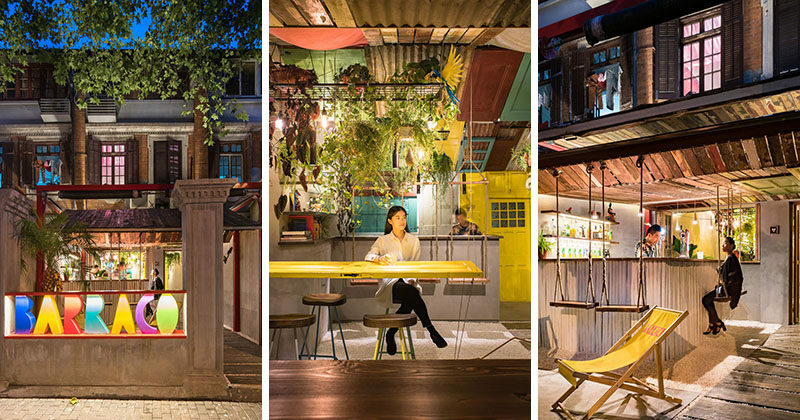 Q&A Architecture Design Research have recently completed Barraco, a new bar in Shanghai, China, that features recycled materials, swings and a hanging table. 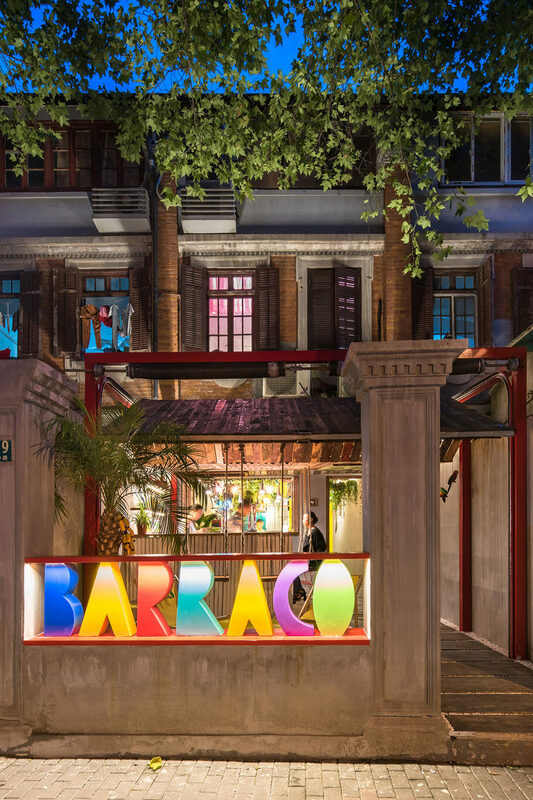 The designers searched through demolished buildings around Shanghai to find reclaimed materials, doors and windows, and as-found objects to stage the informal and colorful bar. Neutral tones of bare concrete, wood and white gravel on the floor and walls serve as a background for the tropical inspired interior of plants, lighting and swings that hang from the ceiling and provide seating around the bar. Through a wood and glass door next to the bar is another area that can be opened up when it’s busy or when there’s a larger group of people. 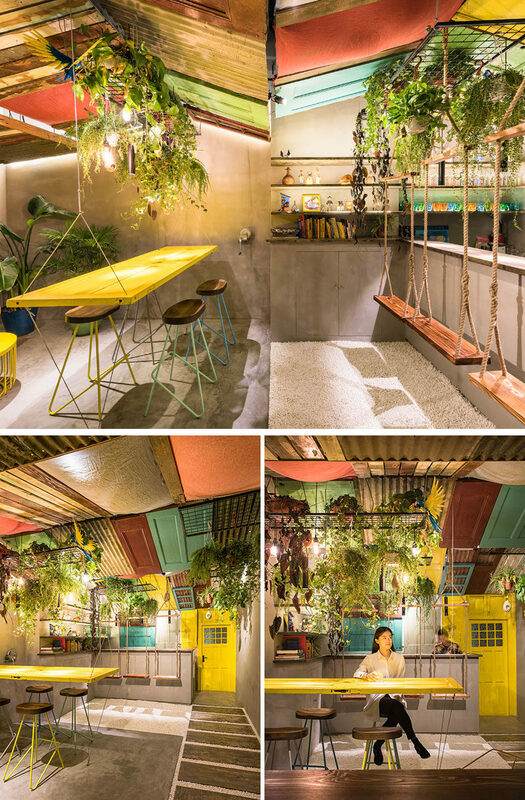 Plants hang above a bright yellow door that’s been made into a hanging table, while behind it are even more swings and a second bar area.